Men who like to sing: We want you! 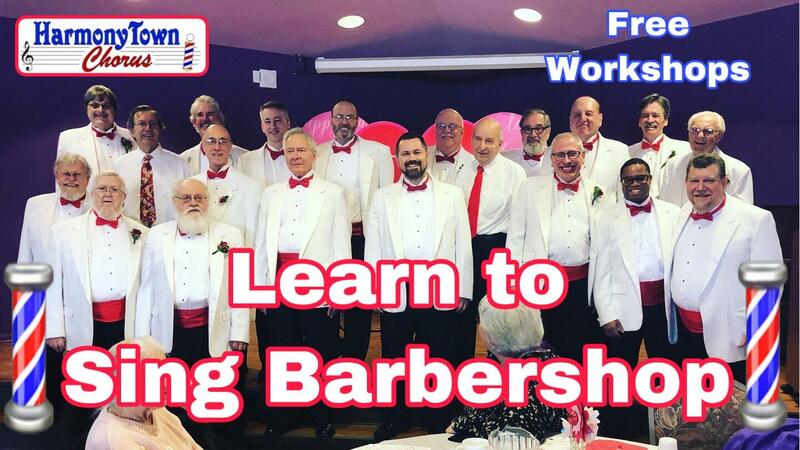 Learn to Sing Barbershop - Free Workshops!!! Please join us for a month dedicated to welcoming new voices to our 75 year chorus. Tuesdays in June (4th, 11th, 18th & 25th) at 7:15 PM. All voice ranges. All ages. You do not need to know how to read music. No audition necessary. The men of the Harmony Town Chorus invite you in the singing of Barbershop Music. No cost. All materials provided. It's fun! It's easy! Invite friends. We sincerely hope to meet you!